At Fyber, our job is to simplify how app developers manage their advertising revenue. Today,we’re excited to announce that we’re rolling out a new set of features to our platform that allow you to further customize and refine your interstitial ad strategy at the click of a button. It’s now easier than ever to customize and prioritize your demand sources for interstitials. Want to top-rank an ad network? In specific regions, or globally? 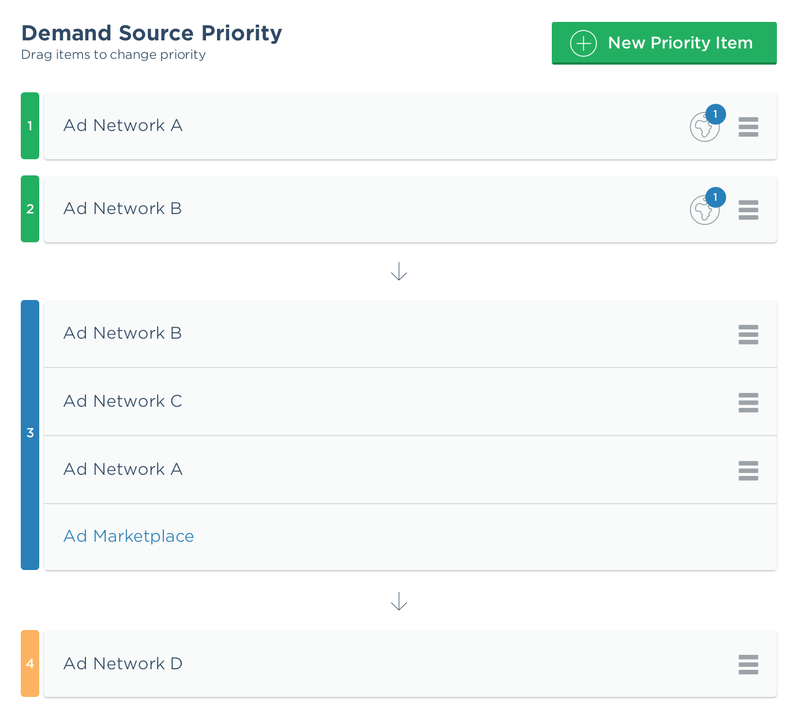 With Fyber’s new Demand Priority features, the choice is yours. And customizing your strategy is simple: Just drag and drop the networks into the order of prioritization! This new feature allows you to stay in control of your direct relationships with demand partners for interstitial ads, while continuing to take advantage of Fyber’s Predictive Algorithm. For example, let’s say you have an exclusive deal with Ad Network A in Europe and Ad Network B in the US. You can top-rank each of these networks in their respective regions, and then after the ads from your top-choice networks are called, you could either rank a second choice demand source, or group together multiple ad networks and leave it up to Fyber’s Predictive Algorithm to serve the top-paying ads. Show your users the right interstitial ads at the right time, pacing it with Fyber’s new Frequency-Capping and Pacing features. 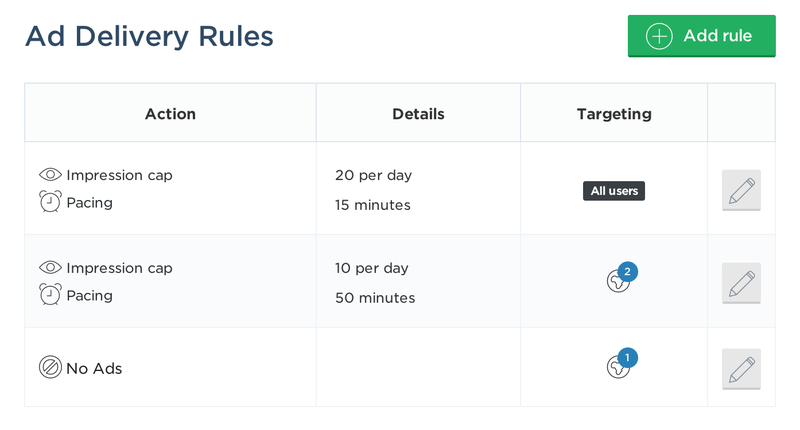 The impression cap allows you to define the maximum number of impressions allowed per day, while the pacing rule gives you the freedom to define exactly how often an ad should be served. Rules can be applied to all regions or defined by country. The purpose of this feature is to allow our partners to refine their ad strategy and influence the user experience, based on their goals for each region. For example, let’s say that your app has demonstrated strong in-app purchase performance in the UK – you may decide to turn off ads completely for that region. Or perhaps you might limit ads to five impressions per day. You can further refine the user experience by setting the pacing rules – for example, allowing an ad to be shown every 30 minutes, in order to not disrupt game play. Fyber’s new features are already available for interstitial ads through the Ad Monetization Dashboard. Using rewarded video ads? We’re currently working to roll out these controls for that format, so stay tuned – we’ll be sure to update you as soon as it’s available! For any additional questions, please contact your Account Manager.